Product prices and availability are accurate as of 2019-04-09 17:17:59 EDT and are subject to change. Any price and availability information displayed on http://www.amazon.com/ at the time of purchase will apply to the purchase of this product. General purpose use on pumps, fans, blowers, compressors, conveyors, farm equipment and other industrial and commercial machinery installed in damp, dusty or dirty environments. IP55 Protection as standard. Suitable for indoor and outdoor applications. 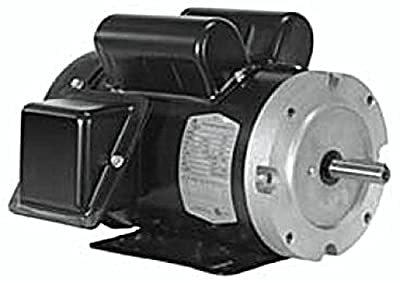 These motors have high starting torques and are well-suited for applications with high starting loads.